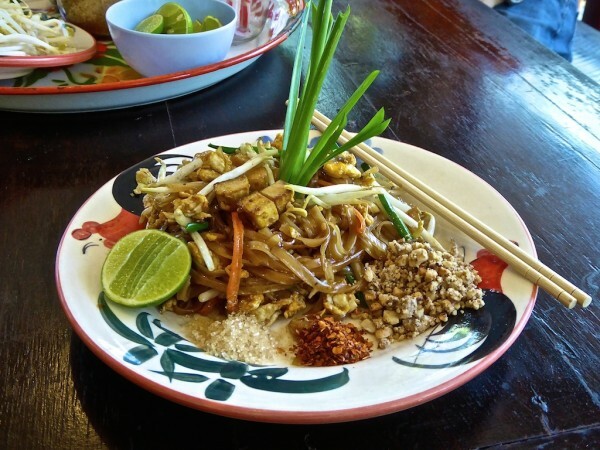 Pad Thai is the national dish of Thailand and you will never get bored of it. It's so simple to make and is a common street food snack in Thailand. 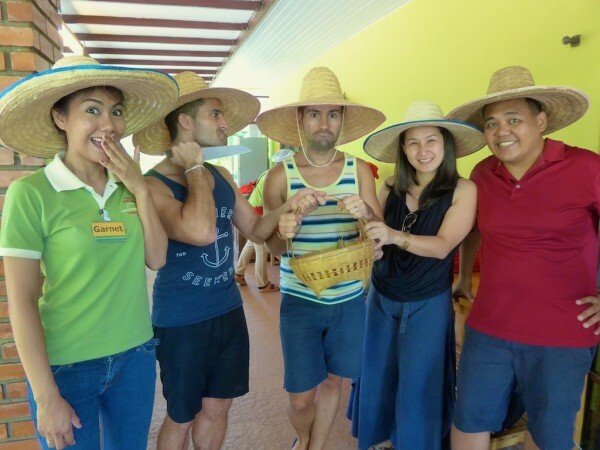 It was popularised during the Second World War and has become one of Thailand's national dishes. 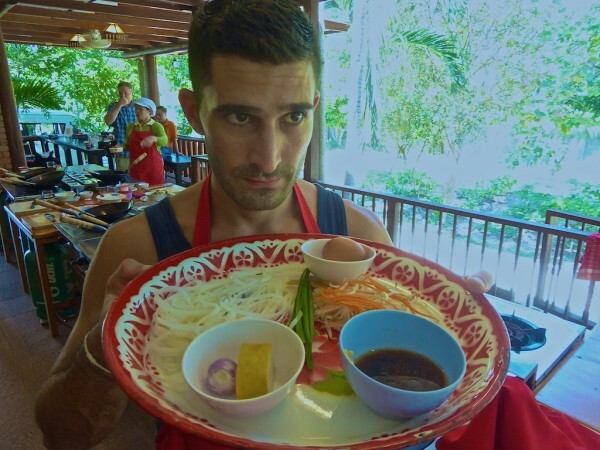 We learnt this recipe from our cooking class with the excellent Thai Farm Cooking School during our press trip in Chiang Mai. It is vegetarian using tofu, but chicken or pork can also be used instead. 1. Soak the rice noodles in water for 30 minutes until soft. 2. Put the water in a bowl and mix in the tamarind paste, palm sugar, fish sauce, molasses and chilli powder. 3. 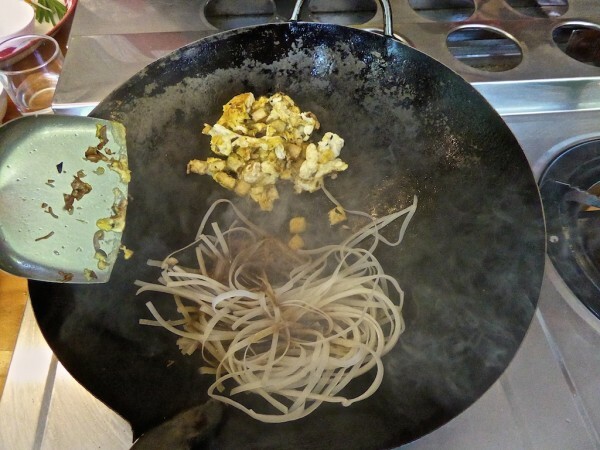 Heat up the oil in a wok on a low heat and add the tofu, shallots, pinch of salt and fry on a low heat until the shallots brown and tofu starts to change colour. Move it to one side of the wok. 4. 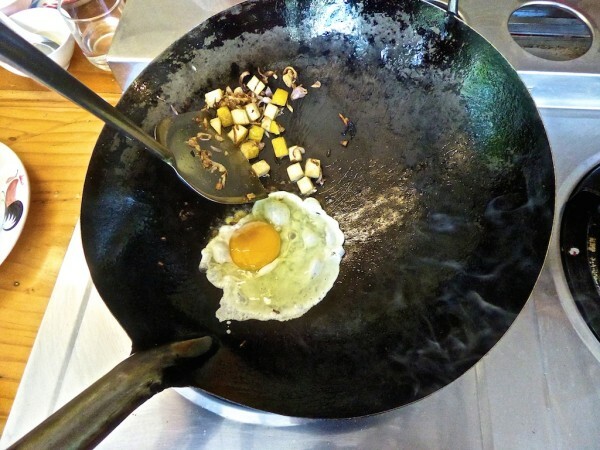 Crack the egg and scramble on one side of the wok then mix it together with the already fried shallot/tofu mix. Move this to one side of the wok. 5. Add the noodles and fish sauce and cook them on medium heat for 2 minutes until they soften. 6. Mix everything together and also mix in the bean sprouts, grated carrot and chives, cooking on medium heat for 1 minute then remove the pan from the heat. 7. Serve with crushed peanuts on top and a lime sliced in half. 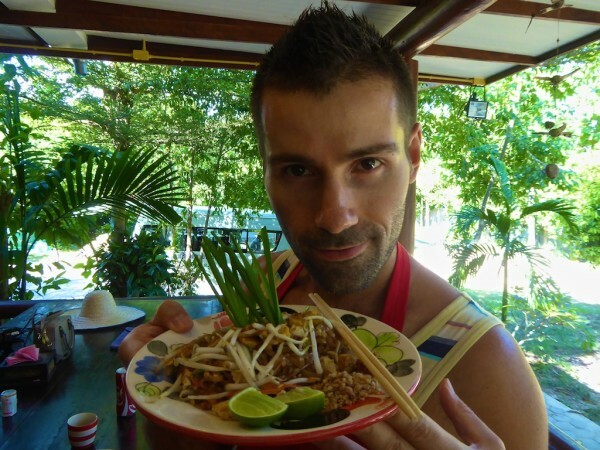 A finished pad Thai ready for consumption! Thanks for sharing this. It is very helpful. Great work. THANK YOU for the recipe! you took the mystery out of the glorious snack my “after the dance club guys ” and I would eagerly devour around midnight. Now I can attempt to make it on my own! My next request: How to make those multi coloured noodles in coconut milk dessert which are also sold in the Thai food markets for 6 baht ? Our pleasure 🙂 Yes we’d like to learn those as well ha ha ha! YUM! 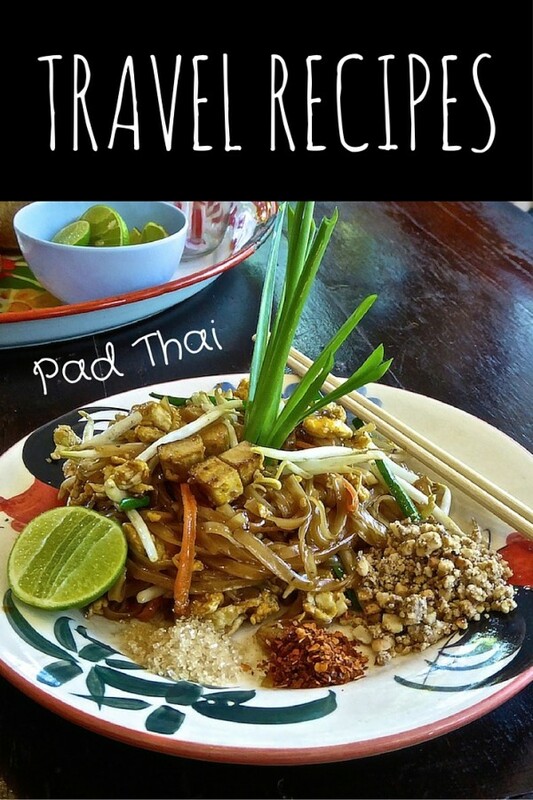 I love Pad Thai though I suppose the Pad Thai in the U.S. is probably not the truly “authentic” Thai Pad. In any case, thanks for the recipe!